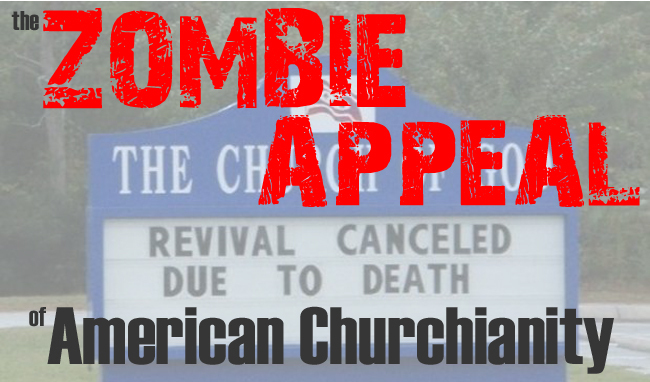 The above piece is an excerpt from the book Apathetic Christianity: The Zombie Religion of American Churchianity . If you know of anyone who might be interested in this post, feel free to share it using the buttons at the top or bottom of the page. Please “like” us on Facebook (using the convenient button in the upper left corner) and feel free to sign up to receive all new Fire Breathing Christian articles by email using the button in the upper right corner. Thank you for your support! Don't forget "never question your salvation" (in direct contradiction to Paul's admonition to test whether we are in the faith or not in 2 Corinthians 13). This article has brought to mind something I haven't thought of before, and that is that many emphasize God's free gift of salvation in Romans 6:23, but not Jesus' command given all who would want to follow Him, that they must deny themselves, take up their cross, and follow Him. Easy believism, yes, costly discipleship, not so much.